On January 15, 1974, Jon Gillock gave the New York premiere of Olivier Messiaen’s Méditations sur le Mystère de la Sainte Trinité at The Church of the Ascension, NYC. That single performance launched him into a career as a concert artist almost over night, giving premieres of this fabulous work from coast to coast. The following year, he gave the first New York performance of Messiaen’s then Complete Works for Organ — the Livre du Saint Sacrement had not yet been written — in a series of five concerts. Soon afterwards, he met Messiaen who invited Gillock to visit him in Paris. In 1977, Gillock went to Paris to study with his Maître at the Paris Conservatory. In 1978, Gillock performed the Méditations in the presence of the composer at the Cathedral of Saint John the Divine, NYC, in a very moving concert in honor of Messiaen’s 70th birthday. This performance cemented a long friendship between the two: Messiaen was very touched by Gillock’s artistry, and it was at this time that he became one of Messiaen’s favorite interpreters. In 1986, Messiaen presented Gillock with a copy of his manuscript for the new Livre du Saint Sacrement, authorizing him to give performances of this epic masterpiece before its publication. Again, Gillock gave the New York premiere, which was again followed by a transcontinental tour premiering this piece around the country to wide critical and public acclaim. He has given several other special New York performances of this work — in 1988, to celebrate Messiaen’s 80th birthday; in 1992, as a memorial tribute to Messiaen at the time of his death; and in 1996, for the opening concert of the Convention of the American Guild of Organists that celebrated their 100th anniversary. In 1995, Gillock was the only American chosen to give a solo concert in Festival Messiaen “Man of Faith – Look at his Organ Works”, organized by l’Église de la Sainte-Trinité (the church Messiaen served as organist for 61 years) to commemorate the third anniversary of his death. After the Festival he released his program, Diptyque and Les Corps glorieux, on CD. This recording was awarded, among other top prizes, the Deutsche Schallplatten Preis (the Grand Prix in Germany). In 1999, Gillock again performed Messiaen’s Complete Works for Organ in New York City to honor the composer’s 90th birthday — this time at The Riverside Church. In selecting this festival of six concerts as one of the highlights of the concert season, The New York Times hailed Gillock as “one of the most persuasive champions of Messiaen’s mystical and mysterious organ works”. These concerts were given unprecedented coverage by The New York Times during the course of the festival, including a feature article on the front page of the Sunday Arts and Leisure Section. During this series he had the unusual distinction of premiering three recently discovered pieces by Messiaen: Monodie, Prélude, and Offrande au Saint Sacrement. Soon afterwards Gillock performed other major Messiaen celebrations in San Francisco and Boston. In 2000 (to honor the Jubilee year of the Catholic Church), Gillock was again presented in concert at La Trinité in Paris where he performed Messiaen’s Méditations sur le Mystère de la Sainte Trinité. In 2002, on All Saints’ Day, Gillock was featured in a televised broadcast from Trinité that honored the 10th anniversary of Messiaen’s death. And, in 2004, Gillock traveled to Tokyo where he gave the Japan premiere of Méditations (the same work he premiered in New York thirty years earlier) as the featured artist for the 30th Anniversary Celebration of the Japan Association of Organists. In 2008, Jon Gillock celebrated the centenary of Messiaen around the world, giving major concerts in Paris, New York, and Tokyo, including the first performance in Japan of Messiaen’s Complete Works for Organ. After a decade of work, Jon Gillock’s book, Performing Messiaen’s Organ Music: 66 Masterclasses, was released in 2009 by Indiana University Press, USA. It stands without peer as the most exhaustive work on Messiaen’s organ music in the English language, and it has been acclaimed internationally as one of the most important writings about these works. In 2011, Gillock began recording Messiaen’s organ works for release on CD on the Raven label, having found the ideal organ for this project, the Quoirin at The Church of the Ascension, NYC. The first three recordings, Méditations sur le Mystère de la Sainte Trinité, Livre du Saint Sacrement, and Prélude – Messe de la Pentecôte – L’Ascension are now available. They are the first recordings on this new instrument. The three remaining volumes will be available soon. Thus, over the last forty-four years, Jon Gillock, known for his sensitive and moving performances, has become one of the leading international interpreters of Messiaen’s marvelous and unusual repertoire for organ. While his name is practically synonymous with Messiaen’s music, Jon Gillock is also known for his programs that draw on many periods and nationalities of organ music. He is especially fond of performing the French Spiritual Repertoire. Often a featured soloist in international festivals, he has also been a featured recitalist and master teacher for conventions of the American Guild of Organists, the Royal Canadian College of Organists, and the Japan Association of Organists. From 1970 until he moved to France in 1993 he was a member of the Organ Faculty of The Juilliard School, NYC. He has also served on the organ faculties of the Manhattan School of Music, NYC, and Montclair State University, NJ. From 2004-2009, he participated as Artist Faculty with Yuko Hayashi in the Boston Organ Academy. He was a member of the faculty of the Ascension Organ Academy with Dennis Keene from 2011-2013. He has also served as a jury member for international organ competitions. 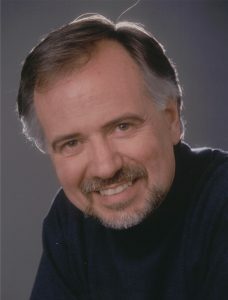 In 1999, he was named International Performer of the Year by the New York City Chapter of the American Guild of Organists. This prestigious honor was awarded to him “in recognition of his outstanding achievements and contributions to organ performance”. He was also named “One of the Most Notable Organists of the 20th Century” by the AGO. Among the awards he has received for his recordings are the Golden Diapason and the 10 of Répertoire in France and the Deutsche Schallplatten Preis in Germany. Jon Gillock grew up in Oklahoma where he began studying the piano at an early age. His first important teacher was Weldon Marshall. He received the BM with High Honors and the MM degrees from the University of Arkansas (Fayetteville); his major teacher there was John Cowell. He did graduate study at the College of Church Musicians, Washington Cathedral, with Leo Sowerby, Paul Callaway, and John Morehen. He earned his DMA degree from The Juilliard School under Vernon de Tar (organ) and Gustave Reese (musicology). Later, he studied with Olivier Messiaen at the Paris Conservatory.